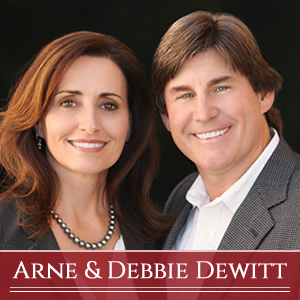 Thank you for visiting the Arne DeWitt Group of RE/MAX online. With over 30 years experience inOrange County real estate our team achieves results for clients buying and/or selling real estate in Orange County. We are longtime residents of South County where we have raised our families and invested in the community. Our team serves clients throughout Orange County, yet we specialize in Laguna Niguel, Monarch Beach, Dana Point, San Clemente, as well as Aliso Viejo, Mission Viejo, Ladera Ranch and Foothill Ranch. Buyers and Sellers use our Web site’s robust search capabilities to find the most current listings and area info, along with tips on buying or selling a home. To get started simply click on a specific city from the interactive map located above and select how you would like your search sorted i.e. by price, bed/bath count, square footage, etc. Buyers considering multiple cities in South OC for their home purchase often begin their search by clicking on the community links above to learn about area neighborhoods, schools, entertainment and cultural opportunities and area statistics. As longstanding RE/MAX professionals serving South County we appreciate your business and look forward to helping you achieve your real estate objectives. To learn more about our team, visit our “About” page or contact us today for information or to arrange a confidential meeting.